At the beginning of the year I had the resolution of taking more pictures and maybe doing the so popular photo diary Project 365. Well January went by and nothing happened... January is the worst month when it comes to keeping New Year's resolutions (at least in my case). But I thought any month is as good as any to start a project. And I did it! 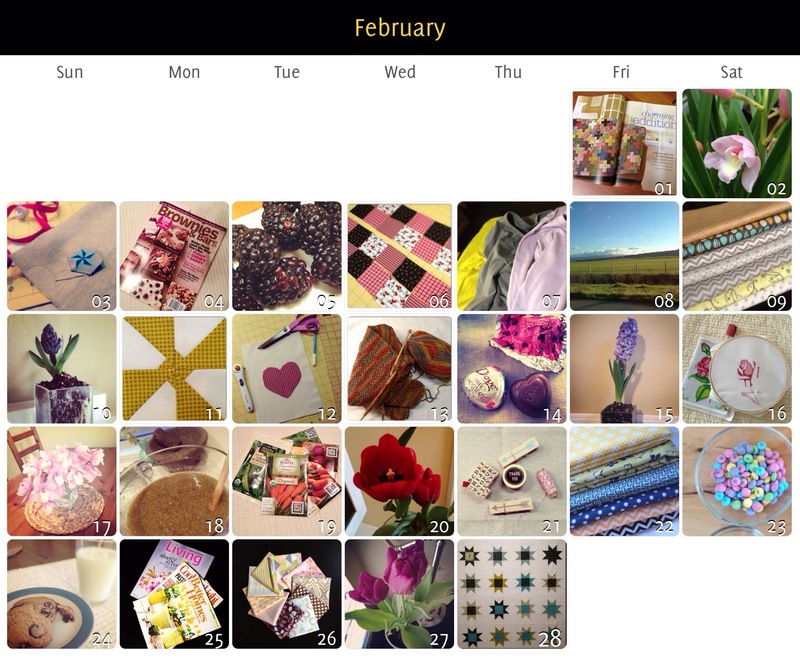 Here is a recap of February from my Instagram. February was a fun month: I bought some great fabrics to add to my collection, worked on my WIP and Spring started to show sings that it is going to arrive soon. I enjoyed having the most beautiful flowers around the house. How was February for you?